There are several initiatives and organisations set up to work specifically to improve the state of the Baltic Sea. The Helsinki Commission, or HELCOM, works to protect the marine environment of the Baltic Sea from all sources of pollution through intergovernmental co-operation between Denmark, Estonia, the European Community, Finland, Germany, Latvia, Lithuania, Poland, Russia and Sweden. Its Baltic Sea Action Plan is a programme aimed at restoring the good ecological status of the Baltic marine environment by 2021. A private, independent foundation aimed at stimulating concrete measures that improve the environmental quality of the Baltic Sea. The assets of the foundation will finance projects that are creative, innovative and improve knowledge of the Baltic Sea until 2020. A European Union initiative that works to promote regional development through transnational cooperation between eleven countries around the Baltic Sea. The objective is to "make the Baltic Sea region an attractive place to invest, work and live in." The Baltic Sea Project is an international network among schools for a better environment in the Baltic catchment area. 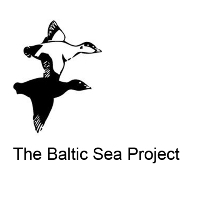 A cooperation of non-governmental environmental organizations from the countries of the Baltic Sea Region working to protect and improve the Baltic Sea environment and its natural resources. The Foundation has two key areas of operation: cultural activities focusing on maritime history, and the environmental work in its Clean Baltic Sea Projects. The objective of the Foundation's Clean Baltic Sea projects is to reduce the eutrophication of the Baltic Sea and increase environmental awareness of its condition. The Swedish Environmental Protection Agency has published a report on what might happen to the Baltic Sea if no further action is taken.